Shoreline ecological services offers a finishing touch to many of LAND’s complex remedial programs. This element of our projects remain as a legacy to the communities that we work in. We take pride in show casing our completed projects in this manner. Our attention to detail in the development of design, commitment to ecological vendors and subcontractors in supporting this work and our knowledge of installation ecological resources makes LAND an excellent choice to provide this service. From addressing erosion in small creeks to restoring native ecosystems, our construction professionals team with ecological experts to develop sustainable restoration approaches. Most recently LAND completed the restoration of the RiverBend property along the Buffalo River that was formally the Republic Steel and Donner Hanna Coke facility located in South Buffalo. 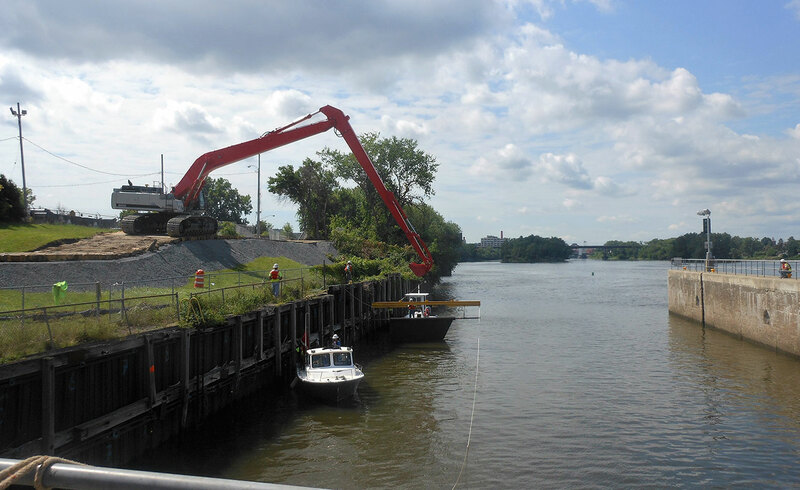 LAND Remediation worked with ecological subcontractor, Applied Ecological Services (AES) , to restore and enhance the ecological function of the Buffalo River bordering the property, and address Beneficial Use Impairment delisting targets for the Buffalo River Remedial Action Plan (RAP).